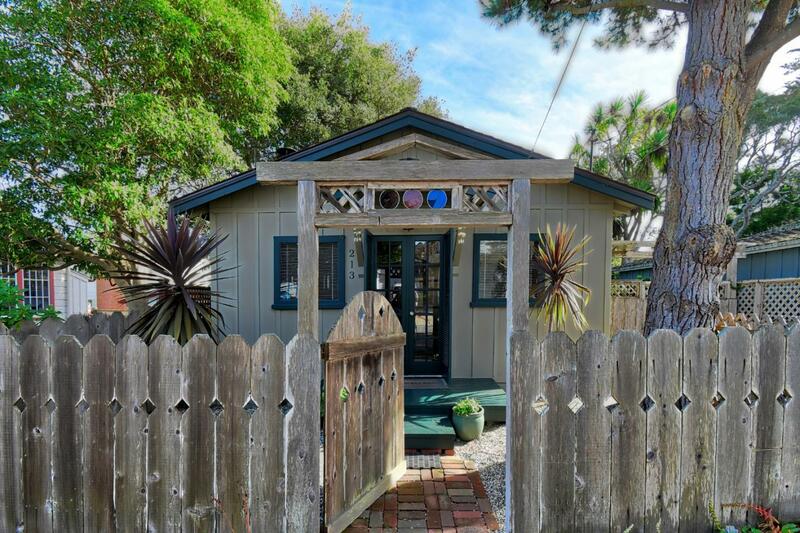 A fabulous cottage exuding all of the charm that is Pacific Grove--the perfect example of quintessential! Built in 1920, this warm, welcoming home is just a short stroll to downtown PG for dining or shopping or a walk down to the Rec Trail along the Bay. Amenities include gleaming hardwood floors, board and batten walls, vaulted ceilings and a great floor plan. Enjoy an afternoon BBQ or glass of vino on the deck in the private, fenced back yard. The detached 9 x 15' building has been utilized for years as a bonus room--office or guest quarters, storage or office. Easy to maintain landscaping, and an off-street parking pad in front help to complete the picture. This is the lil place you have always wanted!